Pope Francis continues to capture the attention of the world with his actions. For Holy Thursday, rather than celebrate Mass at St. Peter’s, he will celebrate at a Roman prison for youth. There, within the Mass for Holy Thursday, he will wash the feet of some of the young inmates. The papal title “Servant of the Servant of God” aptly fits Pope Francis; already he leads by his example of service. 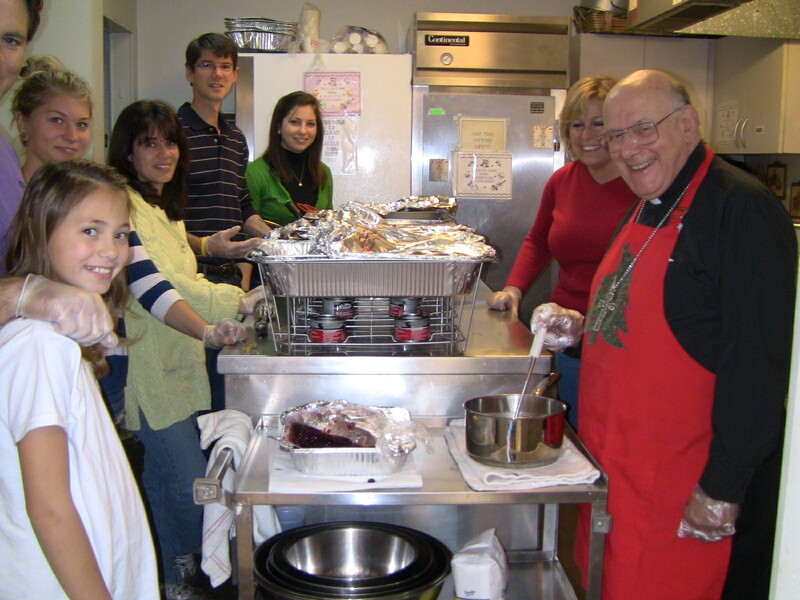 I’m reminded of the first time I learned that Bishop Loverde spends his Thanksgiving and Christmas dinners serving meals to the homeless at Christ House in Alexandria. Surely, there are other days when he could serve those in need. Would it be so wrong to actually enjoy a holiday meal at home? No, it wouldn’t be wrong for our pope and our bishop to have made other plans for these days, but their gestures of humility and service speak volumes. When those young men and women in the juvenile detention center in Rome see that the Pope chose to spend one of the holiest days of the year with them, how can they help but feel valued? When he washes their feet, will they be struck by his love for them, for the Lord’s love for them? Each Thanksgiving, the smiling faces of those at Christ House remind us that acts of charity are motivated by the desire to show others God’s love for them. As Lent draws to a close, we will be reading and contemplating the end of Christ’s life. An innocent man – God Who came down to earth – Who chose the ultimate act of service, to die so that we might live. There are so many ways to serve others, whether in your family, your parish, or the wider community. Catholic Charities needs a multitude of volunteers; the Gabriel Project needs “angels” to help pregnant women in need; Christ House always accepts food donations. If you have the opportunity, find a way to watch Pope Francis’s visit on Holy Thursday and consider asking the Lord how it is that He is calling you to serve those around you. This entry was posted in Caitlin Bootsma and tagged bishoip loverde, Christ House, Holy Thursday, Pope Francis, prison, washing feet. Bookmark the permalink.